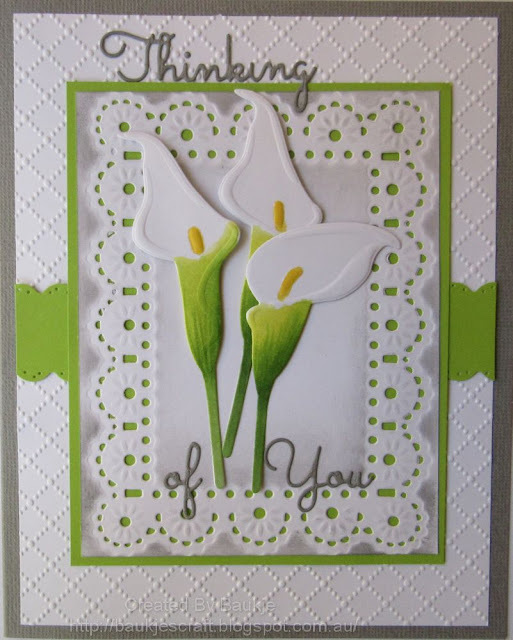 Four cards featuring the Marianne Creatable Calla Lily die. 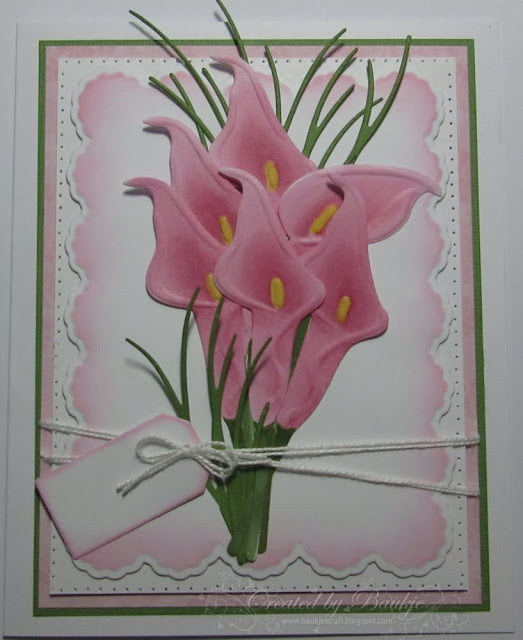 I cut all the lilies with thin white card stock and then coloured them with copics. The background I placed them on is from the Spellbinders A2 Floral Ribbon Threader Die set. Tall grass bits used is the Impression Obsession grass die. Spellbinders A2 Floral Ribbon Threader which is then layered onto the Taylored Expressions Dotted Lattice embossing folder. 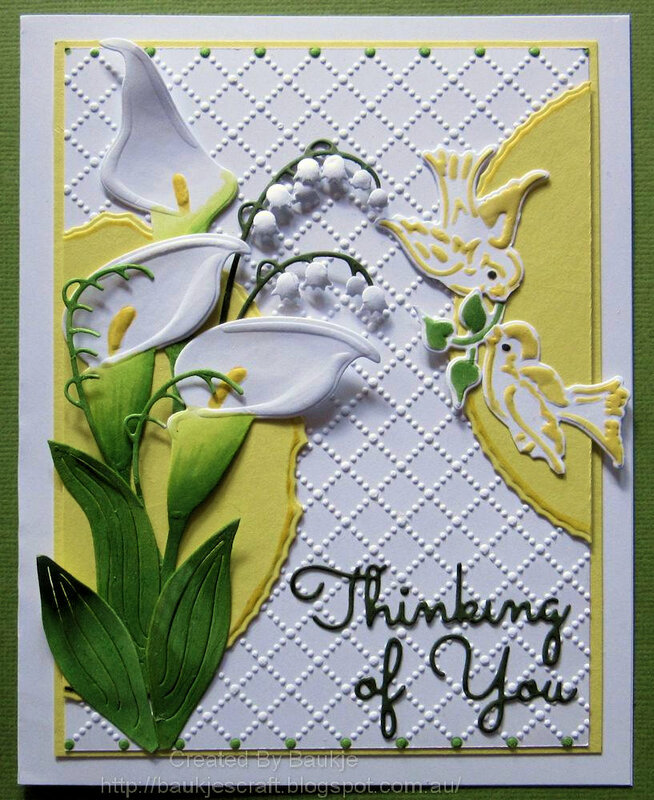 Sentiment is from Impression Obsession. 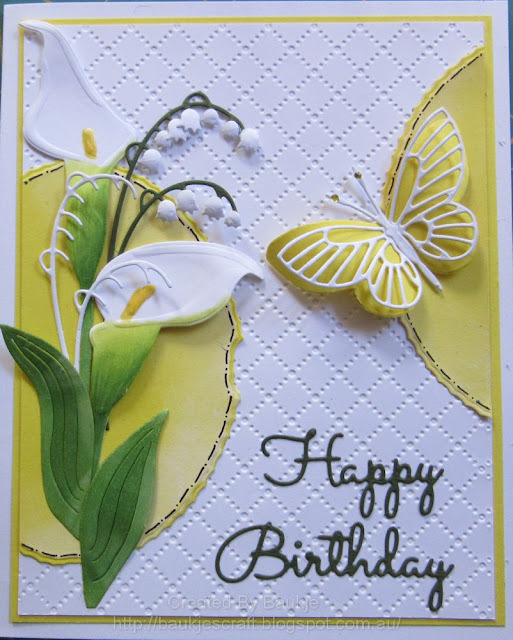 Taylored Expressions Dotted Lattice Embossing folder. 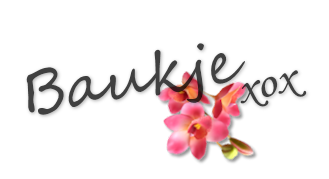 I found a couple of posts in my drafts, instead of deleting them I thought I'd share them. 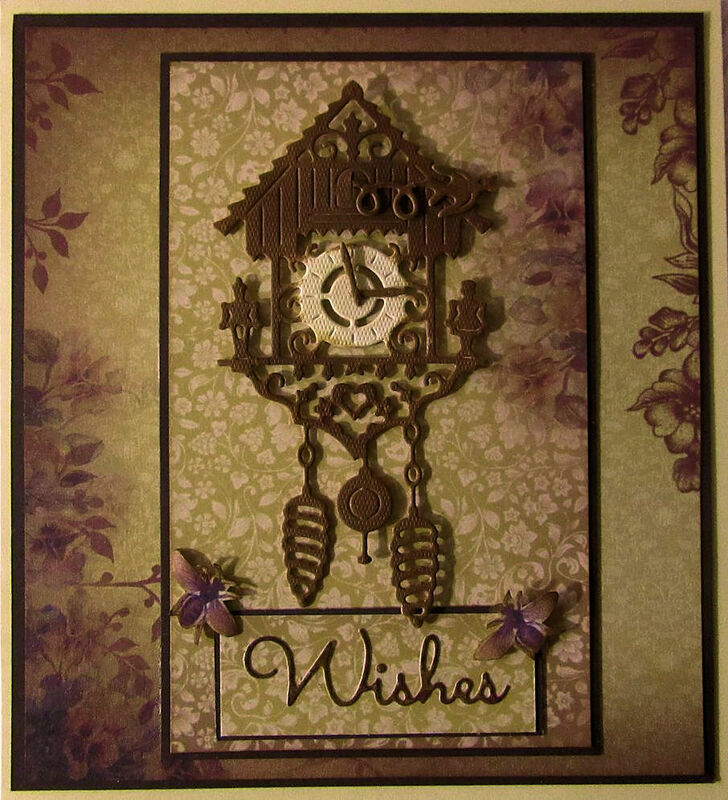 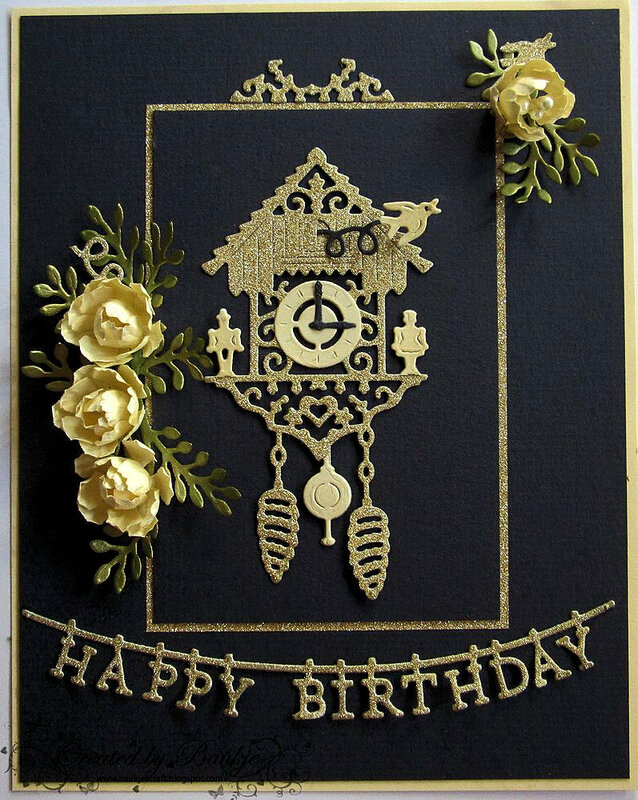 Here are two cards made with the Sue Wilson Cuckoo Clock die. 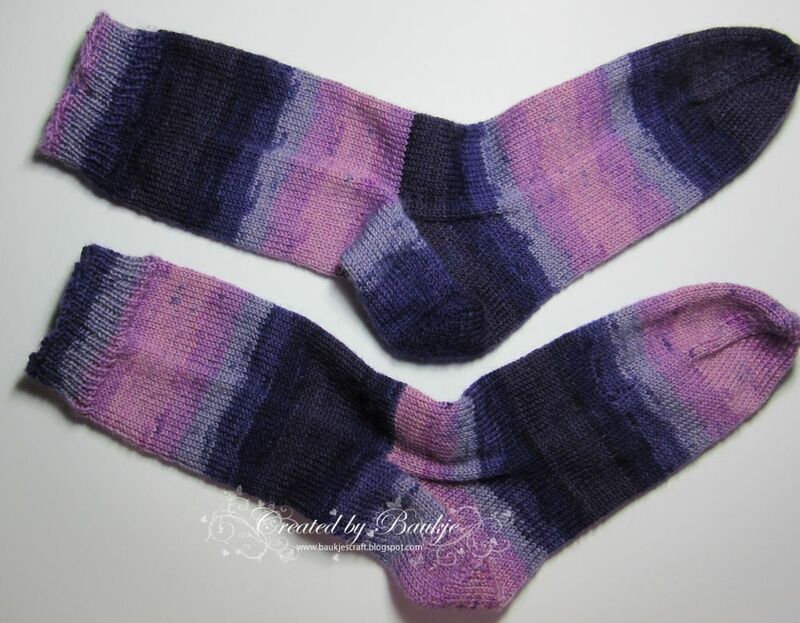 I have just finished knitting my second ever pair of socks, they turned out quite a bit better than the first pair I'm happy to say and I have already started another pair. 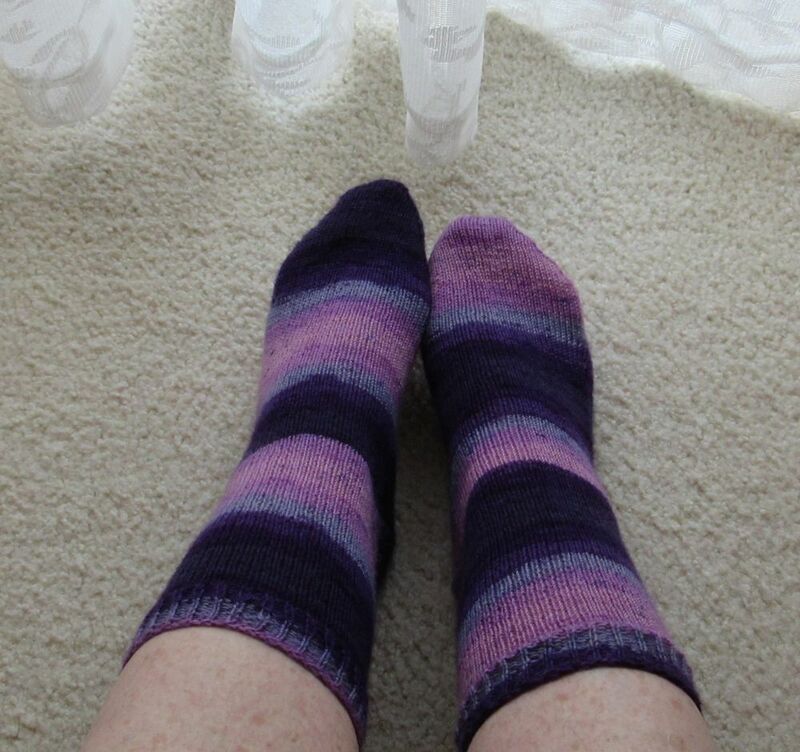 I love how each sock is different from the other, I used Moda Vera Noir yarn which I got from Spotlight it comes with the free pattern on the back of the label.